Durable Technologies' steel stamps and marking dies are custom engineered for identifying a variety of industrial products. 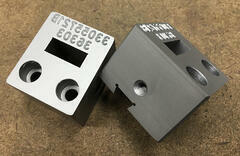 Every die blank is skillfully machined to the user's specifications. Our custom dies satisfy any user requirement for marking machines, punch presses, press brakes and other machines. Our custom stamps can be made for marking on flat, curved, concave or convex surfaces - for stamping part numbers, patent numbers, trade names, trademarks, special lettering or other data. 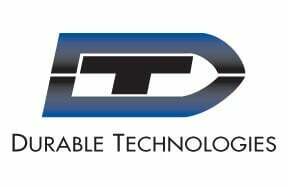 Durable Technologies' stamps for steel marking - the best steel marking tools available. Click on any of the links to the right for more information on our Steel Stamps and Dies. You can also contact us now to speak with someone in Sales. Our custom steel embossing and coining dies are most often used in the sheet metal industry. These male and female dies produce permanent and legible raised letters, including trademarks, code symbols, ornamental patterns, or virtually any specific design, on various gauges of sheet metals. For marking parts being machined on an engine lathe, turret lathe or screw machine, these rolls can be made for one or more lines of interchangeable type, or with combinations of solid logotypes and individual characters. 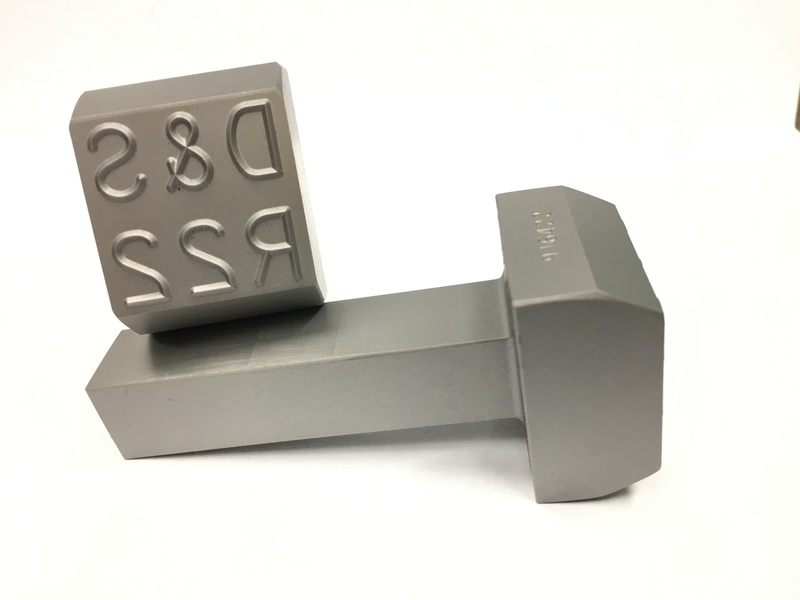 Durable Technologies manufactures custom steel stamps, steel inserts, steel segments, shank stamps and various stamping dies that allow you to direct part mark just about anything. Durable creates embossing dies to mark difficult to mark materials. Durable's roll dies are built to last. We create roll dies for the most difficult applications and materials. Durable stamping dies are made of the most rugged steel and are built to last. Durable roll dies deliver consistent and permanent marks to most materials. Durable's embossing dies help you make your mark. Durable's brass dies deliver unique marks in a consistent and reliable manner. Create amazing designs in difficult to mark materials using Durable's roll dies. Brass with a handle can be used with pneumatic presses or heated branding irons to create permanent marks. Embossing dies are perfect for marking thin metals, textiles, and leather. Aluminum roll dies are light weight and accurate delivering consistent direct part marks. Durable makes custom stamping dies to your exact specifications. Stamp or Emboss a number with our steel stamp dies. Hot stamp a label or a warning with our Hot Stamp Letter Dies. Mark bars with Durable Roll Dies.